When it comes to perfectly finished drywall in Bunker Hill Village, TX, look no further than the painting experts at Palmer Pro. 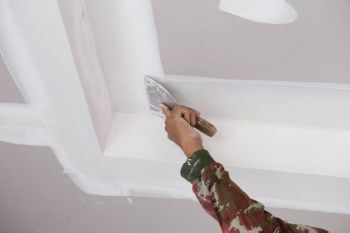 Whether you need drywall repair to repair holes, dings or punctures in the walls or ceiling, need to blend damaged or stained areas, or even want custom texture drywall, our experienced staff have over 4 years of experience repairing drywall in Bunker Hill Village. From patching, taping, to the final coat, the result will be a seamless finish every time. There are many reasons why residents and business owners have turned to Palmer Pro to repair Bunker Hill Village drywall since 2015. From our punctuality, cleanliness and strive for customer satisfaction, our services are unmatched among the competition. For over 4 years, Palmer Pro has provided comprehensive drywall repair in Bunker Hill Village for damaged drywall, wall and ceiling repairs, drywall repair for holes, dents and water leaks, drywall repair for cracked joints, damaged corners and sagging drywall, and much more. We can blend damaged or stained areas to match the rest of the walls or ceiling, we offer custom drywall textures and ceiling textures, drywall installation and taping. From start to finish, Palmer Pro will ensure your drywall repair in Bunker Hill Village is done right the first time. We will place drywall tape over the joints in the ceiling or walls that need repairing. Our drywall repair experts will properly lay the tape smoothly across the joint to ensure it remains flat over the drywall seams. After applying the joint compound and it has completely dried, imperfect areas are sanded away. A second coat of joint compound is applied once more, again sanding away any uneven areas to guarantee a smooth finish. Once the flawed areas of your walls or ceiling are gone, you will never know there was any imperfection to begin with! Call (832) 410-1868 for a free drywall repair quote in Bunker Hill Village, Texas.